Are you ready to commute on the Go Train from Burlington to Toronto? What would that lifestyle look like? If you’re looking at new houses in Burlington, but hoping to keep your Toronto job, this is a big question. Like just about anything in this world, the commute is what you will make of it. The right attitude and approach will really make or break the experience. The amount of time you spend on the train doesn’t dictate how happy you are commuting; you do. With that in mind, here are some parts of the Go Train Experience you may actually look forward to. Let’s start with the question. When was the last time you got to pick something on Netflix without putting the matter to council vote with your spouse and kids? Well, now you can watch or do whatever you damn well want and nobody can stop you. Did the rest of the family shoot down starting The Santa Clarita Diet? This is your time to binge it. If you don’t feel like watching something, you can read something. I’ve spoken to a number of people whose opportunity to read a good book vanished when they started a family… until they started commuting. It doesn’t matter if you want to dive into a Kobo or a sudoku. This is your time. This blog was written on The Go Train on an iPhone. Seriously. This can be your most productive time of the day, in either the mornings or evenings. Being on the train really gives you the opportunity to put your head down and hammer through more work than you imagined possible. If you’re someone who freelances on the side, or always seems to find themselves bringing their work home with them, you’re going to love this time. Getting a good amount of work done on the train really helps you put away the laptop for the night and just focus on being with your loved ones when you get home. You killed it today, you’ve earned it. I guarantee you work with multiple people who spend more than an hour each way on the TTC to commute, WITHIN the city. And your hour spent getting to work is far more relaxing than theirs. The Go Train is about relaxing. The TTC is about surviving. On the Go Train, you’re sitting and enjoying your coffee and easing into your day. On the TTC, you’re standing shoulder-to-shoulder with strangers, trying to cling to the best version of yourself. And of course, you need to look at what’s at the end of your commute. You can get so much more for your money in Burlington. But you already knew that, which is why you’re thinking about making this move. You want to go home to a house, not a condo. You want to relax in your own backyard with a drink, instead of waiting for your building’s communal BBQ space to become available. Living in Burlington just gives you so much more opportunity to… live! Ready to trade your condo community for an actual neighbourhood? 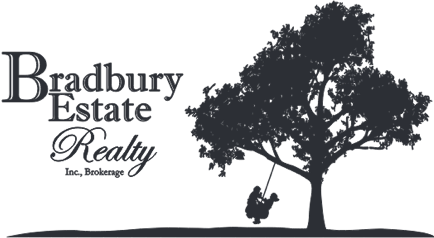 We focus on helping people find the perfect home in the perfect part of Burlington. The neighbourhood you select to live in will dictate what GO Station you use and how long your commute will be. Appleby, The Burlington GO, and Aldershot. Your Commute from Appleby to Toronto Union Station is 44 minutes (express) or 57 minutes (regular). Your commute from The Burlington GO Station to Toronto Union Station is 51 minutes (express) or 1hr 4mins (regular). Your commute from Aldershot to Toronto Union Station is 57 minutes (express) 1hr 10 minutes (regular). All stations offer large FREE PARKING lots! Burlington was recently named the #1 medium-size city in Canada by Moneysense Magazine for an incredible fourth straight year. Click here to contact us with any questions you have about Burlington or the real estate market. Or find out what’s available in Burlington right now! We are here to indulge your curiosity so please don’t hesitate to contact us for a showing.